In the following, retired faculty means all retired faculty whether they have emeritus/a status or not. From the WorkDay/HR point of view (a) a retired faculty who does not have emeritus/a status is a retired academic, (b) a faculty member who is on the university payroll is regarded as an active faculty member, and (c) a retired faculty member who is not on the university payroll is regarded as an inactive faculty member. Note: just because WorkDay classifies you as “inactive” doesn’t mean you are! Cornell offers a wide variety of healthcare benefits and programs for retired faculty. There is no mandatory age for retirement for Cornell faculty. However, to receive certain benefits you must be at least age 55 and have ten years of credited service at the university. More information for contract college faculty . More information for endowed college faculty. The annual membership fee is waived for emeritus/a faculty. You must have a Cornell ID card that identifies you as an emeritus/a faculty member when you apply for membership. Regarding Cornell Health, all retirees are eligible for triage services at the health center, pharmacy services, flu vaccination clinics, and the Faculty and Staff Assistance Program. Cornell Health access for retirees, including those with emeritus status, are not eligible for physical therapy services . Retired faculty are eligible for free O-permit or R-permit parking. Emeritus/a who maintain a campus office may request a Central-tier parking permit. You must have a Cornell ID card that identifies you as a retired faculty member when you apply for these parking privileges. More details and contact information. Retired faculty get free service in Zone 1 which includes the City of Ithaca, Cornell, Ithaca College, Kendal, the hospital, the airport, and the mall. You must have a Cornell ID card that identifies you as a retired faculty member when you use TCAT. In lieu of an annual parking permit, retirees may choose a no-fee OmniRide Transit pass, which provides full TCAT transit privileges, seven days a week. Emeritus/a faculty are entitled to the same discounted rate as all non-retired faculty. Retired faculty continue to receive messages sent to their Cornell email address. There are several ways that this service can be implemented. Emeritus faculty also have free access to Zoom. Cornell Information Technologies handles email for all retired faculty. Zoom is Cornell’s video and web conferencing service. A retired faculty member must have emeritus/a status in order to be listed in the online University Directory. Entries can be edited through WhoAmI. Emeritus Faculty are considered to be “active faculty” in regard to library access. This implies access to all electronic journals, ebooks, and just about all the databases resources available via the Library Homepage. All retired faculty can enroll in up to six credits hours per semester at no charge. Just “sitting in” requires the approval of the instructor. Office of Continuing Education and Summer Sessions handles the registration paperwork. There are many, many interesting events on campus each week. Handy ways to keep informed include the Cornell Events Calendar, the Cornell Sun, and the Cornell Chronicle. The Cornell Academics and Professors Emeriti sponsors a monthly lecture series. Emeritus/a faculty and retired faculty (with 25+ years of service) get two free tickets to all athletic events (except Men’s hockey). Admission requires a Cornell ID card that identifies you as an emeritus/a faculty member or as a retired faculty member with 25+ years of service. Additional information about tickets to athletic events is here. Emeritus/a faculty retain membership in the University Faculty and can vote in its elections. Emeritus/a faculty can vote in elections for the Dean of Faculty and for candidates who are running for membership on the University Faculty Committee and the Nominations and Elections Committee. Faculty Senate Meetings are open to all retired faculty. 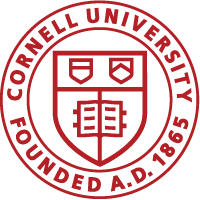 The emeritus/a faculty have one voting member in the Senate and that individual is sponsored through the Cornell Academics and Professors Emeriti. The frequency of college meetings varies considerably from college to college as do voting rights. Consult with your college dean about specific details. A department meeting may be about curriculum, requirements, promotion, or hiring. Whether you can attend and vote may depend upon the topic. Consult with your department chair about specific details. An emeritus/a faculty member actively engaged in teaching or research may retain a private office at the discretion of the unit if space is available. An emeritus/a faculty member who maintains an active research program may be provided laboratory space at the discretion of the unit if space is available. (a) sufficient external funding to support their research activities including the support of technical assistants, post-doctoral fellows, and graduate students. Emeritus/a faculty are eligible for hire-back arrange-ments for specified periods of time in accordance with the needs of the department and college. Emeritus status is a continuing appointment status, inactive until a “rehire” appointment is approved. Because they involve a change in employment status, hire back arrangements require careful consultation with the Office of Human Resources. Participation as a Principal Investigator is conditional on the availability of resources as determined by the department chairperson, dean, and/or center director. The Office of the Vice Provost for Research is responsible for the policy that governs principal investigator eligibility. Any salary paid to the faculty member in such a case must appear as an approved item in the agreement with the sponsor. Such post-retirement appointments are reviewed periodically and always when a new agreement with a sponsor is proposed. When graduate faculty members retire or resign from the University, they resign their membership on the graduate faculty. Graduate faculty members who retire or resign from the University automatically remain on special committees on which they were serving at the time of retirement/resignation for up to one year. If the retired faculty member leaves the Ithaca or Geneva area and wishes to remain on a special committee beyond one year, the student must petition to have the former graduate faculty member appointed as co-chair or minor member. If a faculty member resigned from the university and wishes to remain on a special committee beyond one year, the student must petition to have the former graduate faculty member appointed as a co-chair or minor member. By vote of their graduate fields, emeritus/a faculty may be granted the title Graduate Professor of (Field). This designation, which can be used on external grant and contract applications, enables an individual to retain the rights of other graduate faculty in the field and to submit grant and contract applications that provide up to 50 percent of the individual’s pre-retirement salary. The General Committee of the Graduate School has approved this title for renewable five-year terms. A Graduate School Professor may continue to serve either as chair or minor member of special committees on which he or she was serving at the time of retirement. Otherwise, a Graduate School Professor may serve only as minor member or co-chair, and only if he or she resides in the Ithaca area and the committee includes a second or minor member in the student’s major field. More details here. While retirement as an emeritus/a professor does not automatically confer coverage under the University’s Legal Defense and Indemnification Policy, emeritus/a professors may be so covered if they are performing services for the University at the prior written request of the dean of the college or director of the division upon approval by the Provost, even if they receive no remuneration for such services. Coverage would be with respect to claims that arise from authorized duties. To qualify, an individual must also request such defense and/or indemnification and cooperate in the defense of any action or proceeding as provided in the University’s Legal Defense and Indemnification Policy. Here is the formal policy. Upon retirement, an emeritus/a faculty member may receive $2,000 per year from their college for a period of five years for reimbursement of professional activities.